On the fifth night of the BMW Tate Live Exhibition Carlos Casas presents Sanctuary 2017, a site-specific infrasound environment open to the public during the day which will transition to an immersive live cinema experience. Inspired by the myth of an elephant graveyard in Sri Lanka, Sanctuary grows out of Casas’ wider research for Cemetery, an expansive film project initiated in 2007 which brings together footage he has been shooting in locations across the globe with field recordings by renowned sound artist and musician Chris Watson. Featuring a film and light design by Carlos Casas, live sound by Chris Watson, and infrasound engineering by Tony Myatt, the live cinema performance Sanctuary segues from a projection to a spatial sound experience. Part nature documentary, part experimental fiction, the narrative follows the journey of an elephant, his mahout, and a group of poachers following their trace into the darkness of the night. By enabling visitors to tune their senses to infrasound communication throughout the day, the live completes a unique sensory testing ground for encounters with other species. Inspired by our iconic Finback Whale, the Museum of Zoology ran a series of workshops collecting voices from Cambridge and beyond to create a soundtrack for this amazing skeleton in the newly built Whale Hall of the Museum of Zoology. With the help of choir leader Rowena Whitehead and Jo Shaw and Tizzy Faller from the Department of Music, we reached out to over 1000 people in schools, museums and other spaces. 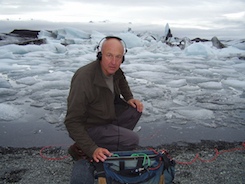 Chris Watson, award-winning wildlife sound recorder and sound artist, has combined these with his recordings of the world’s oceans into a magical, atmospheric journey around the world. Here is the finished piece, which you can hear in the Whale Hall from late 2017. Part of the programme of events complementing Picasso Portraits. We’re pleased to announce the annual Wildeye overseas sound recording field trip / workshop which will be led, as usual, by Chris Watson and Jez riley French. Plus, our special guest, Jana Winderen, will join us for a day or so to show us some of her approaches and talk about her work. We will be staying in the region of Västergötland, close to Vänern, Sweden’s largest lake and home to an abundance of bird and sub-aquatic life. We’re also close to some other important environments such as the Göta river and canal, Vänern, Kinnekulle, Hornborgasjön, a smaller lake famous for its colony of cranes, and of course vast areas of forest and national parks. Orford Ness on the eastern coast of England is the longest shingle spit in Europe. For twelve miles this lichen-colored tongue of shifting sand and pebbles curls out into the North Sea. The Ness is a remote and isolated place, an uninhabited no-man’s-land, for decades occupied solely by the military for practicing the dark arts of war. Chris Watson has won the Location Sound category in the 2016 Resolution Creative Awards. The Resolution Awards recognise quality and innovation in professional audio and your facility has been judged to be outstanding in these respects by the best informed readership in the industry. Congratulations. This two-day course explores techniques of editing audio files on a computer and mixing soundtracks. Through demonstration and working on practical tasks you will learn how to create, edit, manipulate and improve sound recordings, and also how they can be effectively combined and mixed together to produce a soundtrack. This could be for a television or radio programme, for installations, movies, video games, CD/audio-file releases or for your own enjoyment. The course includes the creation and production of Foley sound and sound effects, how to record the perfect voice over/narration, and covers the growing area of multi-channel mixing. It is suitable for those who have already taken our Introduction to Wildlife Sound Recording course, or those who already have some experience of audio work. It will also be invaluable for video editors and producers who oversee the post production process. The course is taught by Pip Norton, a highly experienced re-recording mixer and post production specialist, and Chris Watson, one of the world’s top wildlife sound specialists who regularly works for the BBC. The location is Whitwell Hall Country Centre in the centre of Norfolk, UK. Accommodation is shared rooms (or there are nearby bed and breakfasts/hotels if you prefer), and there will be excellent home-cooked food. It is recommended that you bring your own laptop/computer with editing and mixing programs installed and any sound recording equipment you may have. (If you have yet to invest in any audio software, one recommendation is to try Reaper – this is an excellent digital audio workstation which you can try free for 60 days, and if you wish to continue you can buy a license for just $60 (about £40)). The 2016 award is presented to ecoartscotland and The Land Art Generator Initiative (LAGI) collaboration in recognition of their outstanding contribution to the field of environmental arts, including the LAGI Glasgow Design Competition. The judging panel were particularly impressed by the practical orientation and ambitious scope of the initiative, which directly engages with management of the environment. They praised the multi-disciplinary structure of the collaboration, bringing together science, art, design and engineering expertise to tackle the transition to renewable energy in response to climate change, one of our biggest global environmental challenges. The open sharing of ideas and experience which is facilitated by the project will undoubtedly lead to an ultimate impact beyond the scope of the project alone. The Nick Reeves AWEinspiring Award is presented annually by CIWEM’s Arts and the Environment Network in association with the Centre for Contemporary Art and the Natural World (CCANW). The award celebrates projects or practitioners who have contributed innovatively to CIWEM’s vision of “putting creativity at the heart of environmental policy and action”. Following the Bat Night in 2014 and the Night of Honey in 2015, the Nights of Uncertainty program continues its exploration of the natural world together with Cédric Villani. 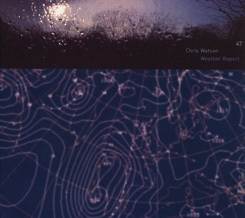 English musician Chris Watson is one of the leading figure of field recording today. Throughout the evening, he takes the audience on a journey, listening to the winds of the Earth, from the North Polar Zone to Antarctica, through the plains of Tanzania, the coasts of Thailand or the Scottish Highlands. Cédric Villani discusses with Martin Hertau, captain of Tara schooner, thanks to a live connexion from its anchorage near Maupihaa atoll, in the middle of the Pacific Ocean, in order to speak about sailing with winds. Through the various contributions, as well as screenings and readings, Cédric Villani, a mathematician with an infinite curiosity, explores one of the first sound phenomena appeared on Earth and brings to it his own scientific and poetic perspective. 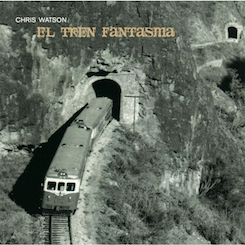 „Ich habe im Laufe meiner Arbeit festgestellt, dass es Orte gibt, an denen eine besondere Atmosphäre herrscht, eine besondere Klangfarbe oder ein besonderer Rhythmus“, erklärt der britische Klangforscher Chris Watson. Der Peterlunger-Teich auf der Seiser Alm ist so ein besonderer Ort, sagenumwoben und inmitten einer viele Jahrtausende alten Kulturlandschaft gelegen. Ausgehend von der Bergstation der Seiser Umlaufbahn wandert das Transart-Publikum gemeinsam mit Martha Silbernagl dorthin und lässt sich von Chris Watson in eine Klangwelt der Vergangenheit zurückführen, als die Dolomiten noch der Meeresboden eines riesenhaften Ozeans waren. Carlos Casas’ movies are at the crossroad of documentaries, fictions, visual and sound arts. For this Nomadic Night, the Catalan filmmaker has chosen to bring the audience inside the making of his next film entitled Cemetery, a visual and aural experience inspired by the mythical elephants’ graveyard. At once an action movie, an experimental film and a science-fictional documentary, Cemetery is a sort of initiatory trip, an acoustic Noah’s arc paying equal tribute to Tarzan and to La Région Centrale by Michael Snow. During this Nomadic Night, conceived as an exclusive insight into this project, spectators will engage in a quest for aural and visual remnants of the mythical graveyard using photographs, drawings and research documents pertaining to the film. The event will be punctuated by a conference on the language of elephants and by a concert inspired by the film’s soundscape. With the exclusive participation of Chris Watson during one concert – founding member of the post-Punk band Cabaret Voltaire in the 1970’s, sound recorder for “Life” the BBC documentary series by Sir David Attenborough, he is one of the main figures of field recording today. With the intervention of Joyce Poole, researcher specialized into the social and cognitive behavior of elephants and cofounder of the NGO “Elephant Voices”. Compass is a brand new sound installation from world renowned wildlife recordist Chris Watson and acclaimed Northumbrian poet Linda France. Specially commissioned by Cheeseburn, and located in four different places around the grounds, visitors are invited to listen to a lightly orchestrated soundscape of birdsong, wildlife, weather and original poems – each composed to the specific setting, the time of day and the season. Chris Watson and Linda France visited Cheeseburn frequently over one year to create this exciting new installation, where a world riven with migration and change finds a compass in the sense of soon itself, the poetry of everyday listening. Visit the Formal Garden, The Courtyard, The Potting Shed and the Stable Loft to experience Compass this August Bank Holiday weekend. Monday 15 August: A Salmon struggles on a weir as writer and naturalist Paul Evans reflects on Sabrina and the fish of no return. Tuesday 16 August: Alan Read, Professor of Theatre at Kings College London recalls a childhood influenced by the Essex estuary. Wednesday 17 August: Martin Palmer, Secretary General of The Alliance of Religions and Conservation reflects on the significance of rivers in religious stories and traditions. Thursday 18 August: The relationship which writer and essayist Kathleen Jamie has with the River Tay changes when some Bronze Age swords are dredged out of its waters. Friday 19 August: The sounds of the River are captured by Chris Watson when he follows the course of the North Tyne from the summit of Peel Fell in Northumberland to the sea at Tynemouth. ‘The Great Circle’ is an Ambisonic sound installation taking the audience on a journey from Northumberland to Aichi overland via a Great Circle route. The Gallery Tyneside Cinema is delighted to present The Town Moor – A Portrait In Sound, a sound installation by Chris Watson, one of the world’s most esteemed and successful wildlife sound recordists. The starting point for the exhibition is material recorded for a BBC Radio Newcastle programme, for which Watson documented one year in the life of the Town Moor, capturing the sounds, birds, beasts and people in the ‘green lungs’ of the city. The material has been reworked and new recordings added in order to create an exhibition in The Gallery using 3D ambisonic sound to make an immersive sound work, and a ‘dark’ cinema experience. You are invited to experience the piece as if it was an image-less’ film, using the sound narrative provided by the seasons to create an acoustic picture of the Town Moor. The exhibition gives you the chance to discover the importance of sound within the cinematic experience. The exhibition runs from 21 June – 24 July in The Gallery on the third floor of Tyneside Cinema. Several times a year, Chris leads sound recording courses organised by Wildeye, a UK-based company which specialises in wildlife film-making processes, including sound recording. Distributed by Kudos. Released 8 March 2016.